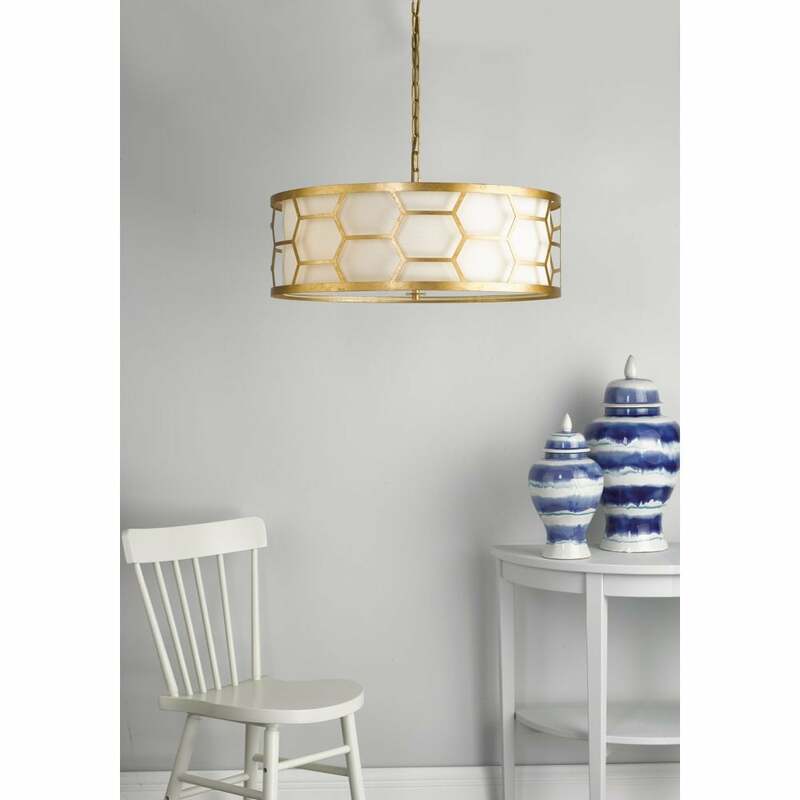 Dar Lighting Epstein 4 light ceiling pendant features a circular design ceiling plate with decorative chain holding a large drum shaped shade all in gold leaf finish with white linen inner shade and frosted tempered glass diffuser. The product code for this Dar ceiling pendant is EPS0412. The attractive cut out hexagonal shapes on the gold shade displays the white linen inner shade perfectly and creates an interesting lighting display with soft illumination through the shade and diffuser. Double insulated, height adjustable at point of installation and comes supplied with 160cm of chain and cable. A wide range of modern ceiling pendant from the Dar lighting range can be viewed on our website.